We have been looking after pets of the Walsall, Lichfield and Cannock area for nearly 30 years, and although much of the technology has changed in that time, our dedication and commitment hasn’t changed a bit. 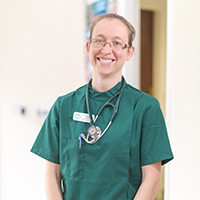 The size of our practice means we have nurses and vets with expertise and experience in all aspects of veterinary care, from orthopaedics to weight control, acupuncture to pet behaviour. But we remain a family-oriented practice; we know your pet is a member of your family so pride ourselves in treating every patient as an individual. In addition, our excellent support, reception and admin staff help us provide consistently high levels of care for our clients. So, for everything your pet needs, you only have to ask: Hillman Vets!